LAS VEGAS, January 9, 2018 - CES Booth #44148/Tech West - Suitable Technologies Inc., creator of the industry-leading Beam family of telepresence systems, today announced the addition of the BeamPro 2. This next-generation device offers advanced features that revolutionize communication within organizations. Responding to extensive customer feedback, the BeamPro 2 provides key benefits for both small organizations and Fortune 500 companies in all verticals including technology, education, manufacturing and healthcare. By creating a more immersive robotic telepresence experience, BeamPro 2 encourages remote employees to "visit" and collaborate with colleagues in other locations around the globe more often, generating improved productivity, better user experiences, savings in time and travel costs and reduced environmental impact. "BeamPro 2 has a modular mobile platform design, so it can be used as a reliable communication device for Beam telepresence meetings, as well as a platform for add-on accessories, which can enhance concepts such as virtual training, or remote patient care," said Bo Preising, chief innovation officer of Suitable Technologies. "This is our newest product designed with the best audio, video, and mobility technology available. BeamPro 2 is the most advanced telepresence device on the market and it provides richer human interaction." Unprecedented customer experience of feeling "really there"
The BeamPro 2 can easily and safely maneuver in crowded spaces with the latest in navigation technology. Optional extra sensors combined with the ability to spin in place allows users to drive a BeamPro 2 through tight spaces that can be found in hospitals, specialty-care facilities, manufacturing floors, museums and classrooms. The BeamPro 2 will be available for purchase in Summer 2018. For updates and more information, please visit www.suitabletech.com/beam-pro-2.. 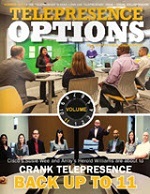 The BeamPro 2 is operated from enhanced software available on all mobile devices and computers, giving the user one-click access to the always-on telepresence device. The patented low-latency video algorithm ensures a high-quality natural conversation over wireless networks. These new features join a patented multi-radio WiFi/LTE algorithm that ensures reliable connectivity wherever wireless Internet networks are available. 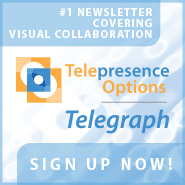 Suitable Technologies' industry-leading family of telepresence products revolutionizes remote interaction by combining user-controlled device mobility with professional video conferencing for an immersive communication experience. Utilized in homes, small businesses, educational institutions and Fortune 500 companies, Beam presence technology enables Beam users to be present and to interact naturally from anywhere in the world by combining high-quality, lifelike audio and video; dependable, effortless mobility; and low-latency transmission for an impactful human presence. Founded in 2011, Suitable Technologies designs and manufactures all Beam products at its headquarters in Palo Alto, California, USA. Find out more at www.suitabletech.com or follow us at Twitter, LinkedIn, Facebook and Instagram. Responding to extensive customer feedback, the BeamPro 2 provides key benefits for both small organizations and Fortune 500 companies in all verticals including technology, education, manufacturing and healthcare. By creating a more immersive robotic telepresence experience, BeamPro 2 encourages remote employees to \"visit\" and collaborate with colleagues in other locations around the globe more often, generating improved productivity, better user experiences, savings in time and travel costs and reduced environmental impact. 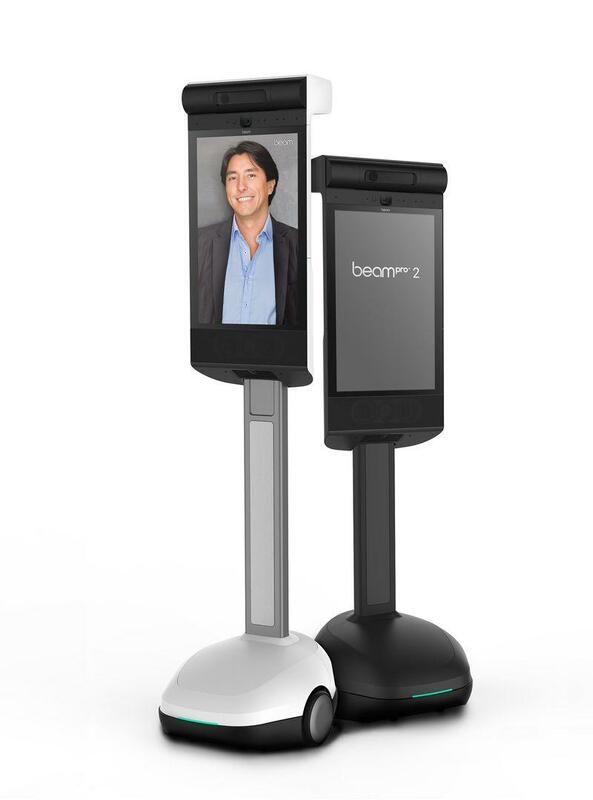 \"BeamPro 2 has a modular mobile platform design, so it can be used as a reliable communication device for Beam telepresence meetings, as well as a platform for add-on accessories, which can enhance concepts such as virtual training, or remote patient care,\" said Bo Preising, chief innovation officer of Suitable Technologies. \"This is our newest product designed with the best audio, video, and mobility technology available. BeamPro 2 is the most advanced telepresence device on the market and it provides richer human interaction.\"
Unprecedented customer experience of feeling \"really there\"